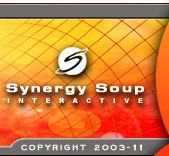 "Synergy Soup has been our web developer since 1999. In the 6 years I have known and worked with Frank he has been a consummate professional. His creative ability as a graphic designer and web developer is paralleled only by his abilities as a strategic, business-minded thinker. He is prompt and extremely customer oriented, and follows the golden rule of business. He will never promise anything he cannot deliver and always, always delivers what he has promised." Synergy Soup's e-Business strategy services can help your business respond move quickly and effectively to the ever-changing e-marketplace. Our experienced team of e-professionals focuses on strategy development before creating your web site, which saves you time and money and sets us apart from our competition. 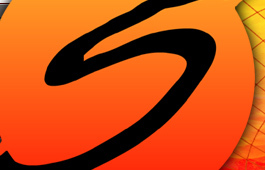 Whether you're looking for business-to-business, business-to-consumer, business-to-employee solutions, Synergy Soup will bring the innovative ideas to BEAT your challenge.